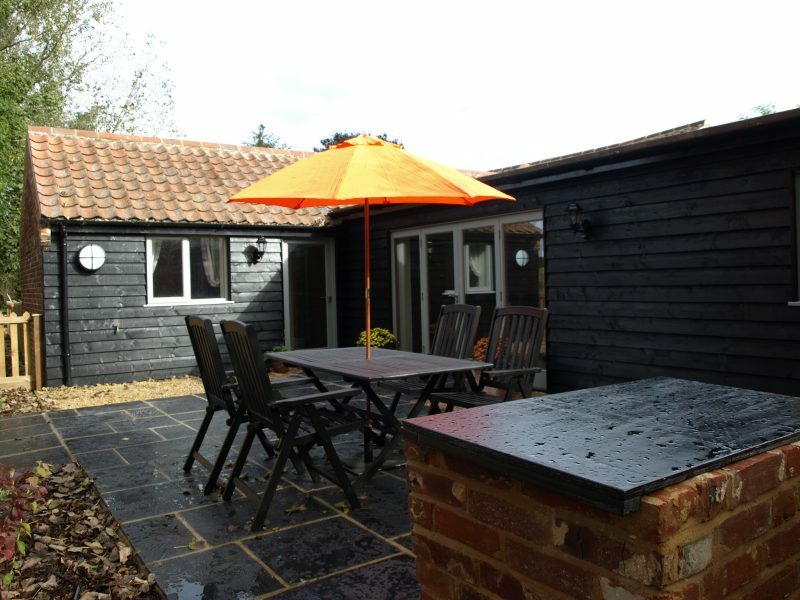 Lodge Farm offers three holiday homes LakeView (2 bed) with its gorgeous views over Bawburgh Lakes, The Dairy (1 bed) with views over the Lakes, wild grass meadow and woodland along with The Courtyard (2 bed) with its private Victorian walled garden area all set in Lodge Farm a 16th Century Jacobean farmhouse. 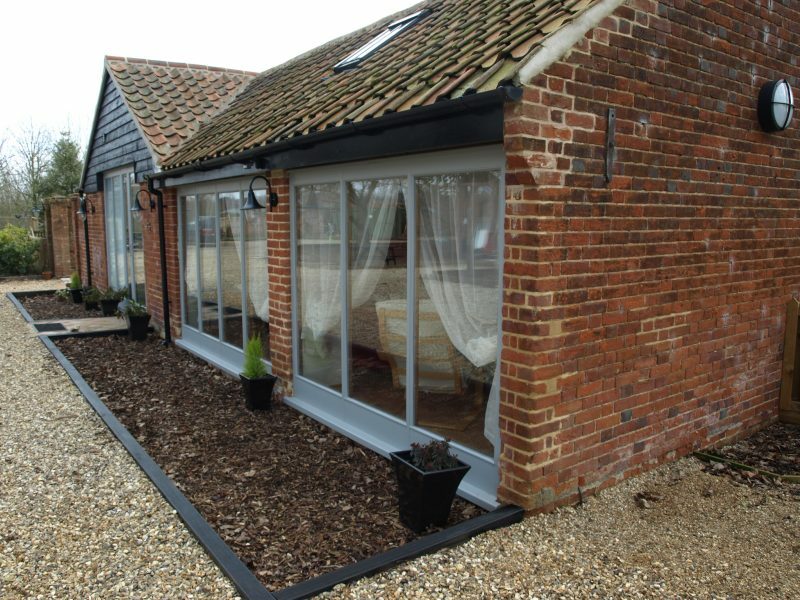 Bawburgh is a beautiful village in Norfolk and only ten minutes drive from Norwich City Centre. 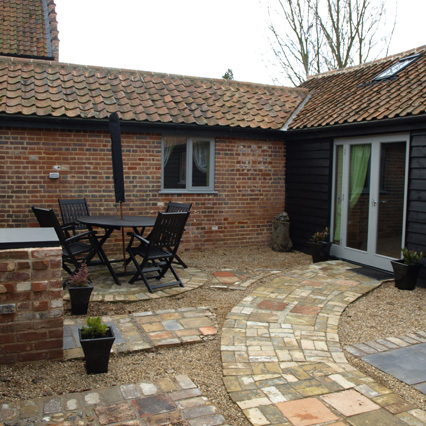 The barns have lovingly been converted into modern self catering barns and are surrounded by a Norfolk Wildlife conservation area, natural woodland and Bawburgh Lakes. 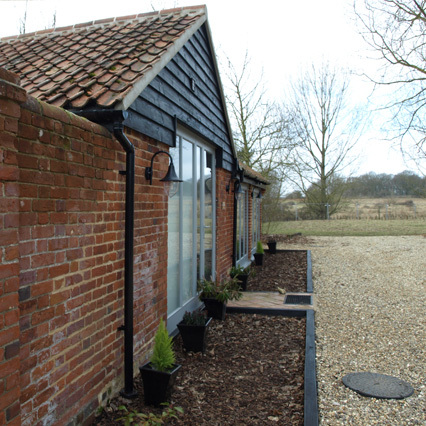 Lodge Farm and the Holiday Cottages have gone Green with a ground source heat pump supplying the underfloor heating throughout, our own borehole with water treatment and sewage plant and in the future a solar panel bank. 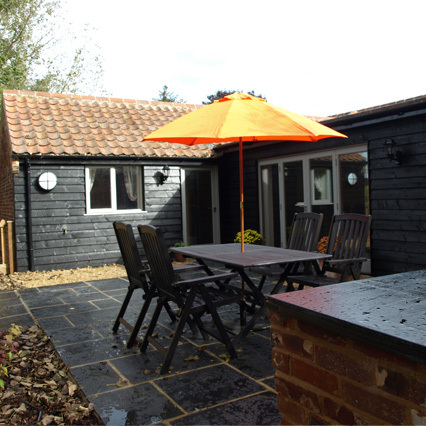 You'll be in for a treat when you holiday in East Anglia at Lodge Farm Holiday Barns - whether for a long weekend in Norwich or for a luxurious week in the comfort of the newly renovated 4 star gold holiday homes. Lovely, Spacious, clean, equiped cottage. Close to lots of local attractions. Relaxed atmosphere and felt at home. Will miss the geese and chickens. Well appointed holiday home, not wanting for anything, love the borrowers list and all the little touches - will be back for one of the cookery courses. Very comfortable bed and lovely rural location but near all facilities. We really enjoyed our stay. Zena was so informative and helpful. It is a great location. 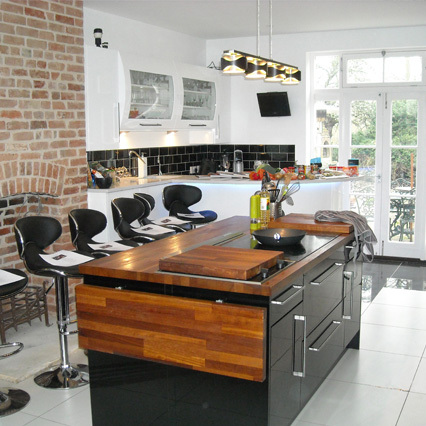 The property is spacious, clean, extremely well appointed, well supplied and extremely comfortable. Outside spaces and wildlife also much appreciated. We had a very enjoyable holiday and were very pleased with the cottage hosts and administration. We have had a wonderful stay, wonderful place. We will see you again soon! Everything was wonderful, we really enjoyed having this property and The Courtyard as it allowed our large family to see the new year in together. Thank you for all your thoughtful extras. We would love to return, what more is there to say?! Oh, Perfect, thank you very much. 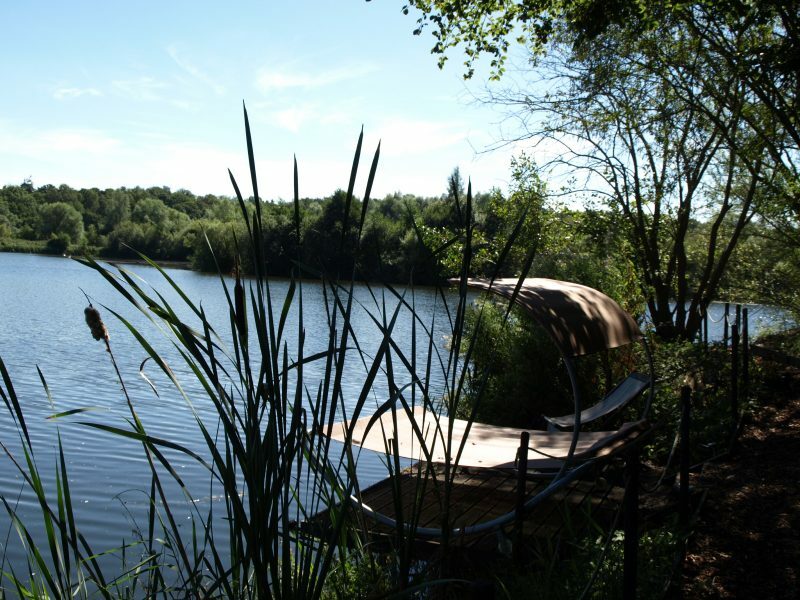 Tranquil, relaxing surroundings. Everything has been catered for, couldn't ask for anything more. From groups, birthday parties, family lessons and mini courses for two learning Thai to Tapas in Lodge Farm Kitchen. Lodge Farms American diner ‘The Milk Bar’ for private cookery parties and a few extras to boot. Three miles, 3.5 hours, tons to eat and drink, plenty to see in this foodie guided walk around Norwich City Centre. Book some amazing holiday extras like yoga, beauty therapy and keep fit classes all in the comfort of your barn and garden. Norwich is in the top 10 shopping destinations in England with over 400 independent shops, restaurants and cafes down ‘The Lanes’ alone. 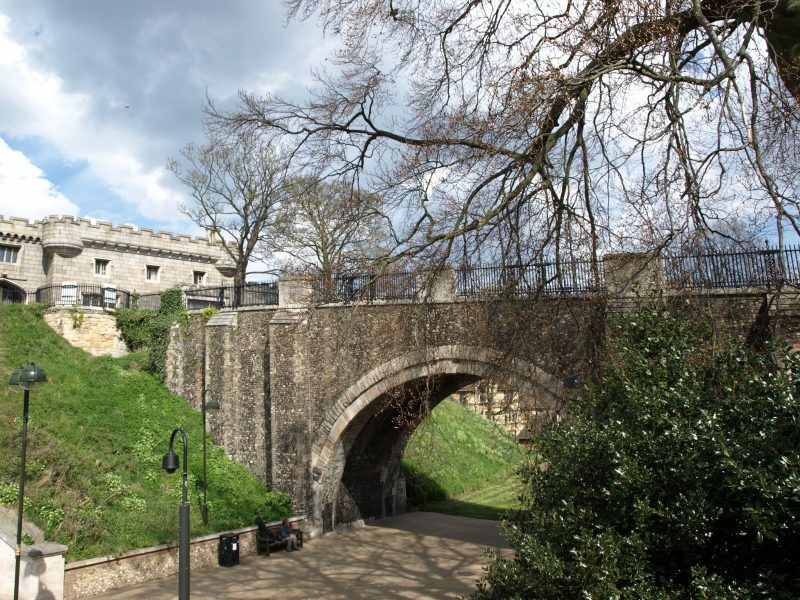 Norwich city center is just 10 - 12 minutes drive away with it's famous castle and cathedral along with heaps of shops, restaurants, theatres and museums. Voted in the top 10 of city destinations. Bawburgh village is just up the road, home to the Kings Head a local award winning gastro pub. A beautiful Village with its own River, River Green, Village Hall and Church famous for St Walstan's well. Longwater retail park and supermarket is just 5 mins up the road just past The Norfolk showground bursting with events.